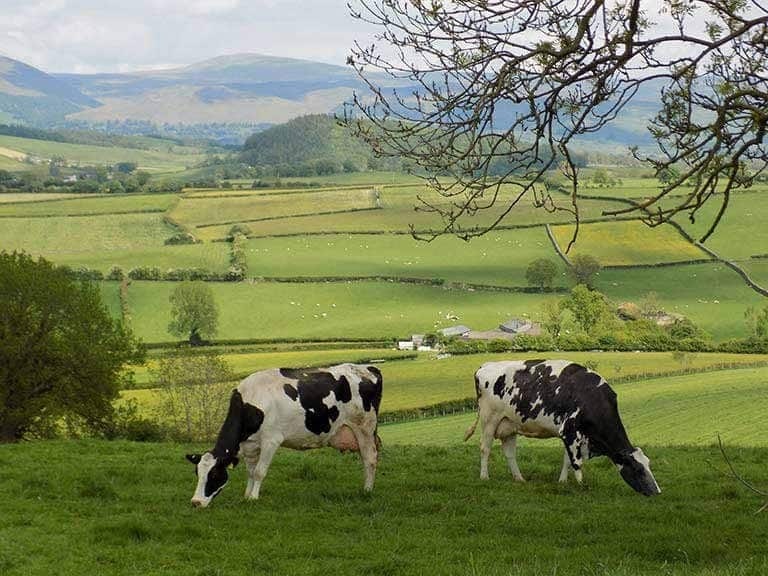 Whin Yeats Farm is a small upland dairy farm with about 80 cows and 200 sheep. The Burwhin (‘Bur’ from my dad’s surname Burrow and ‘Whin’ from the farm name) herd of pedigree Holstein Friesians was established over 40 years ago. They rear all their heifers, reducing the risk of bringing in disease and allowing bloodlines to continue, and Tom, Max & Jenny are the only people who milk the cows. They recently won 1st prize nationally for milk quality from their milk buyer, First Milk! Some of their cow families have been at Whin Yeats Farm for over 25 years! Cows enter the herd at around 2 ½ years old having had their first calf. Their oldest cow is Wendy 40 who is 16 years old and has had 13 calves. Their sheep are Kendal Rough Fell, a local hill breed. They retain the gimmer (female) lambs for breeding, and the wethers (males) go to auction. I know we’re biased, but Rough Fell lambs are the prettiest! The farm is also home to free range hens, pigs, cats & dogs! The average age of their hens is 6-8 years (compared to only 1 ½ years for commercial free-range hens). The farm was established 60 years ago by my grandad, and my dad & Jenny have expanded it further over the last 40 years. They care passionately about the local environment and supporting local wildlife. In the last 30 years, they have planted more than 2,000 trees and have created 350 metres of new hedgerows and two new ponds. Last year, they also planted a wildflower meadow near the footpath that leads to the Roundhouse. As such, the farm has a beautiful variety of flora and fauna. 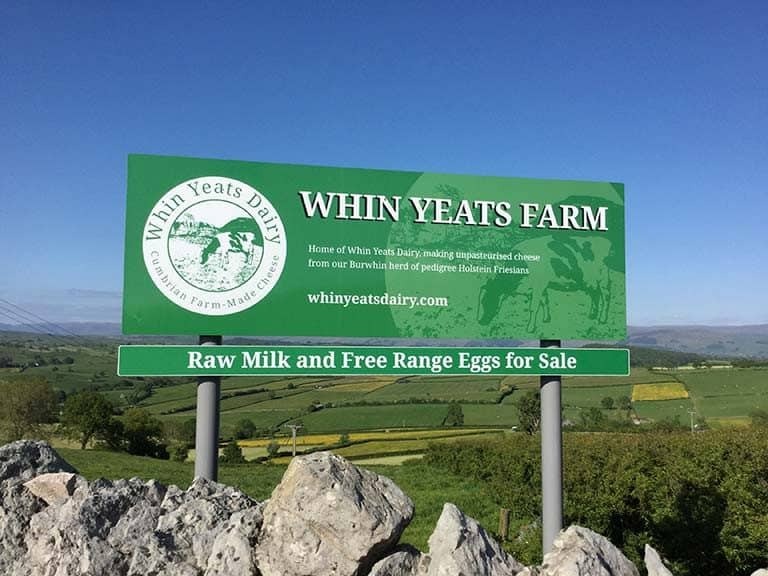 Dad & Jenny went into partnership with Tom & Clare in 2012 to secure the sustainability of the farm for future generations and supported them to set up Whin Yeats Dairy in November 2015. 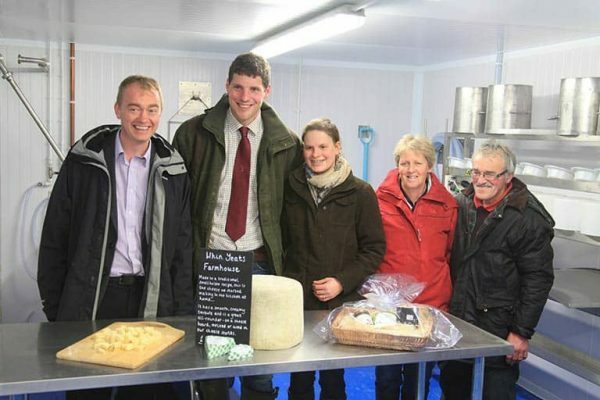 Tom & Clare produce unpasteurised cheese hand-made on the farm, and the business has gone from strength to strength. Their cheeses, Fellstone and Farmhouse, are available to buy across the country, including at Neil’s Yard in Covent Garden, London! The cheese has won a variety of awards, and they quickly started running out of space. So much so that they have recently built a new milking parlour, creating space to build a new office and storage area for their cheeses to mature (Tom has incredible construction skills and goes at a hundred miles an hour, so I’m sure it’ll be ready before we know it! ).